Note: This excerpt errs in describing the Objective Characters as being defined by their relationship to the Protagonist. In fact, the Objective Characters exhibit their characteristics in relation to the story as a whole. The simplest expression of story dynamics is represented by the Dynamic Pair -- two opposing forces between which an Inequity can be measured -- which forms the basis of conflict. Examples include: Chaos and Order, Logic and Emotion, and Morality and Self-Interest. At the most global level, Mind and Universe form a Dynamic Pair, one being internal, the other being external. The combination of two Dynamic Pairs form the basic building block of the Dramatica Theory -- The Quad. A quad consists for four dramatic units that share a defined relationship with each other. Let’s say you have a character in your story who is going to serve the function of Supporting your Main Character’s goal. You can judge how supportive this character is by how her or his actions Help or Hinder the progress of the Main Character towards her or his goal. The more supportive you want this character to be, the more she or he will help the Main Character rather than hindering the Main Character. The way Dramatica represents these relationships it to assign the dramatic units to characters. In Star Wars, Luke’s Objective goal is to become a hero. The Robots Support his quest to become a hero, while Han Opposes his quest because he doesn’t want to come along for the ride. Obi Wan’s guidance Helps Luke’s quest, while Darth Vader’s interference Hinders it. Each of these attitudes illustrates the characters’ Motivations, which will affect their actions during the course of the story. This brief introduction has touched but lightly upon the most broad and basic tenets that form the Dramatica Theory. The remainder of this book will examine these concepts in ever deepening detail as the chapters progress until all aspects and nuances are fully explored. Please keep in mind that story structure is not the same thing as the talent of storytelling. Dramatica provides a flexible structure that presents both the structure and dynamics of the Story Mind. Dramatica will not make you a more talented storyteller but will keep faulty structure from undermining your creativity. 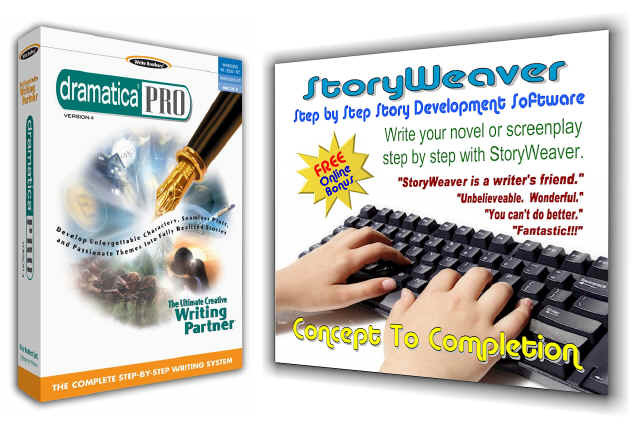 This allows any author to create a flawless structure that has "form without formula."